Here’s another vegetarian dish for the recipe collection. In this one, I’ve cooked the pasta with the sauce in the Thermomix and I’ve also added lentils to make a more filling meal. The trick with this dish is to wait for 5 minutes before serving so that the pasta can finish cooking with the heat of the sauce. I’ve learned the hard way that cooking the dish for too long results in the turning Thermomix blades break up the pasta! A lovely recipe and great tips too! Thanks for including lentils, they are a fave meat-replacer for me too 🙂 Happy mixing! I need a like button! Lentils are awesome! It did take a couple of unsuccessful attempts to figure it out! Let me know how you go…. This is a delicious lentil bolognaise! I’ve made it several times and keep coming back to this recipe. It’s a regular at our house. Hubby and children are happy to eat this in place of a regular meat version. Great recipe thanks. I’m so glad you like it. It’s always hard to get meatless dishes past my other half!! 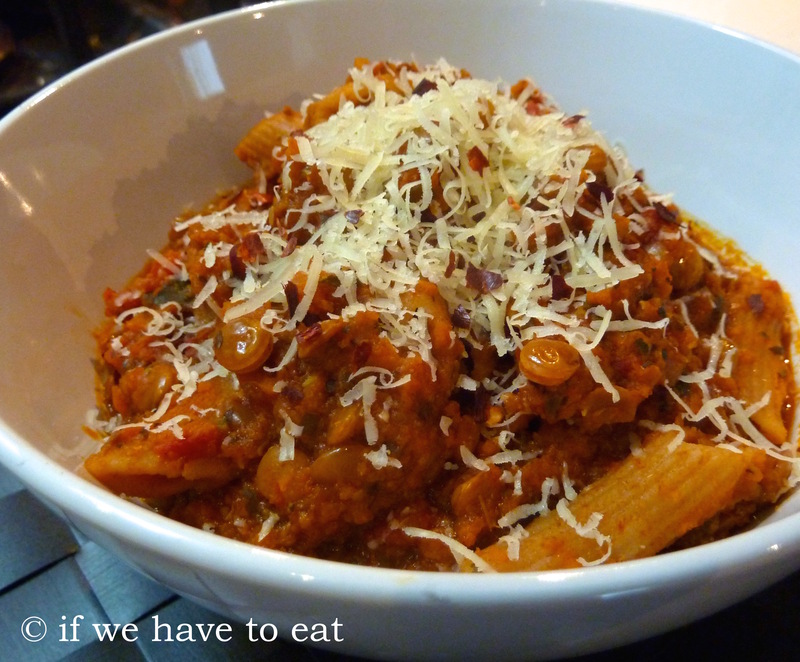 This entry was posted on January 11, 2015 by ifwehavetoeat in Mains and tagged Easy, Mains, Make Ahead, Pasta, Recipe, Thermomix, Vegetables.